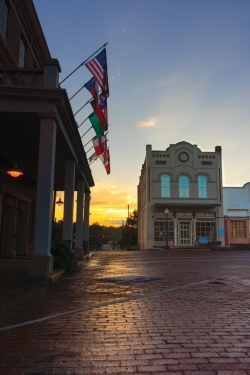 The City of Nacogdoches has a council/manager form of government. The elected city council members set the policies for the operation of the municipal government. The administrative responsibility rests with the city manager, who is appointed by the city council. The city council consists of five members — a mayor, who is elected at large, and four council members who are elected by district. City Council meetings are held in City Hall the first and third Tuesdays of each month at 5:30 p.m.
Nacogdoches County government is administered under a commissioners court system. The five-member court is comprised of the county judge and four commissioners. The county judge is elected at large and the commissioners are elected by precinct. The county commissioners meet in the County Courthouse every other Wednesday at 10 a.m.